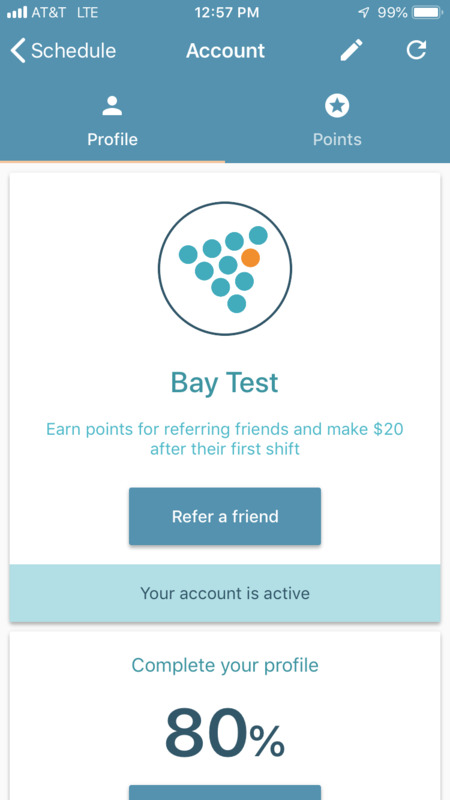 BlueCrew will pay you a $20 bonus for anyone you refer who works a shift for us! The BlueCrew community is built by the team so be sure to tell your friends to join (working alongside your friends is awesome). You can refer your friends directly through the BlueCrew app! Go to the menu in the app and select account, then click on Refer a Friend. From there you can send your friend a unique link through text or email. If they click the link they can sign up for BlueCrew! Make sure they tell the interviewer you referred them during the interview as well. As soon as they complete their first shift, you will get a $20 bonus! There is no limit to the number of bonuses you can receive, so make sure to refer all of your friends!